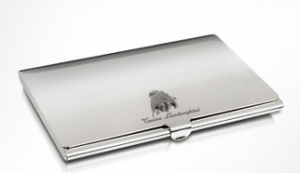 Carry your business cards in style with the Silver Collection Business Card Holder from Tonino Lamborghini. This exquisite card holder will impress your clients and make all your co-workers jealous. Made in Italy.